Jane has been helping our patients with their appointment scheduling, patient account and insurance needs since 2009. Jane is expert at maximizing insurance benefits for our patients and helping patients to understand their dental insurance benefits. Along with her expertise in customer service, Jane is our technology whiz and senior IT team member, often responsible for keeping our software systems in peak condition to assist our patient’s needs. Jane’s friendly smile and outstanding service greet our patients both in the business office and on the telephone. She is always eager to answer patient questions, and attend to their needs. 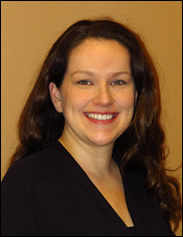 Her expertise at meeting patients’ scheduling needs in today’s busy world is extremely valuable to our patients. Jane enjoys spending time with her husband, Tim, and their daughter, as well as outdoor activities and travel.